Most people want to have beautiful, radiant, and wrinkle-free skin but do not understand the damage that occur regularly due to external factors. Sunlight, pollution, hygiene practices, tanning beds, chemicals, smoking, and your diet can all affect the health of your skin and potentially lead to skin cancer. According to the Centers for Disease Control and Prevention (CDC), skin cancer is the most commonly diagnosed cancer in the United States. Over the past three decades, more people have had skin cancer than all other cancers combined. The most common types of skin cancer are basal cell carcinoma, squamous cell carcinoma, and melanoma. The majority of these types of skin cancer are caused by overexposure to ultraviolet (UV) light. UV light is comprised of three types of ultraviolet rays. Ultraviolet A (UVA) rays can penetrate the skin and cause damage to connective tissue and DNA. UVA rays can speed up the aging process. Ultraviolet B (UVB) rays help produce vitamin D in the skin, but in turn can cause sunburn and DNA damage as well. UV rays can lead to skin cancer and other conditions such as cataracts. The Skin Cancer Foundation estimates that 90% of non-melanoma skin cancers and 86% of melanomas are associated with exposure to UV radiation. There are preventive measures to protect ourselves against skin cancer. Follow these recommendations from the CDC. Avoid tanning and UV tanning beds. Seek shade when outdoors especially between the hours of 10 a.m. and 4p.m. During this time, the sun’s rays are the strongest. Wear clothing such as long-sleeved shirts and longs pants to cover as much skin as possible. Wide-brim hats offer protection for your head, face, ears and back of the neck. Avoid hats with holes that allow sunlight to shine through, such as straw hats. Sunglasses that offer 99% or 100% UV protection are best to reduce risk of cataracts and helps protect the delicate skin around the eyes. Always apply sunscreen before going outdoors. The areas mostly forgotten are the face, ears, hands, neck, back, and feet. Choose a broad-spectrum sunscreen. Broad-spectrum protects against harmful UVA and UVB rays. Sunscreens contains a sun protection factor or SPF. 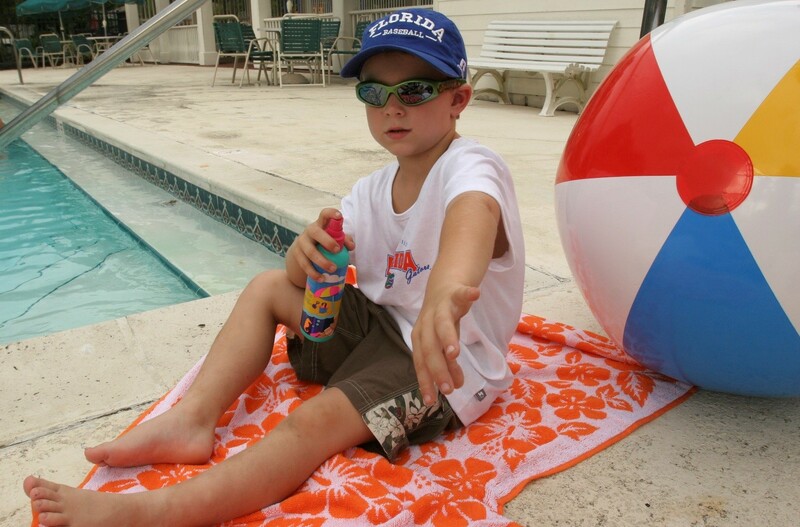 SPF indicates how effective the sunscreen is at blocking UV rays. The higher the SPF the more protection. Always use a broad-spectrum sunscreen with at least a SPF 15. When using sunscreen, apply every 2 hours or more frequently if in the water or sweating. Be sure to examine your skin from head to toe every month; look for skin changes, color, and abnormal growth. Consult with your physician if anything abnormal arises. Skin cancer can occur regardless of skin color. Those who have dark skin tones believe they are not at risk for developing skin cancer. Darker skin tones contain more melanin, which does help protect the skin to an extent. Sun burn and sun damage can still occur on darker tones. It is important for everyone to take preventive measures against UV damage. Learn more.The skin cancer foundation provides information on will how to perform skin cancer self-checks, application of sunscreens, clothing protection, how to prevent eye damage and skin cancer prevention. Family and Consumer Sciences Agent, UF/IFAS Extension Lake County.